Sorry - we have now run out of this item. We should have more in the near future. Red clover is the familiar pink or purple-pink flowered perennial clover of grassland and waysides. Its large darkish green trefoil leaves often have a distinct whitish crescent on each leaflet. 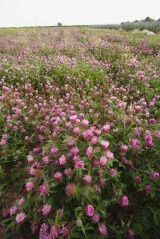 Native wild forms of red clover (var. 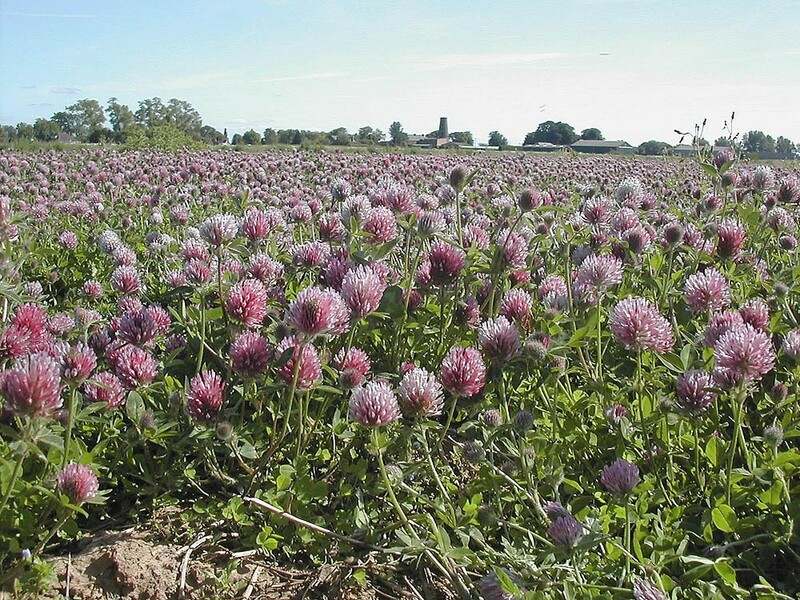 pratense), especially those originating from old meadows (like our stocks), are more compact and long lived compared to robust erect agricultural fodder varieties of red clover (var. sativum). 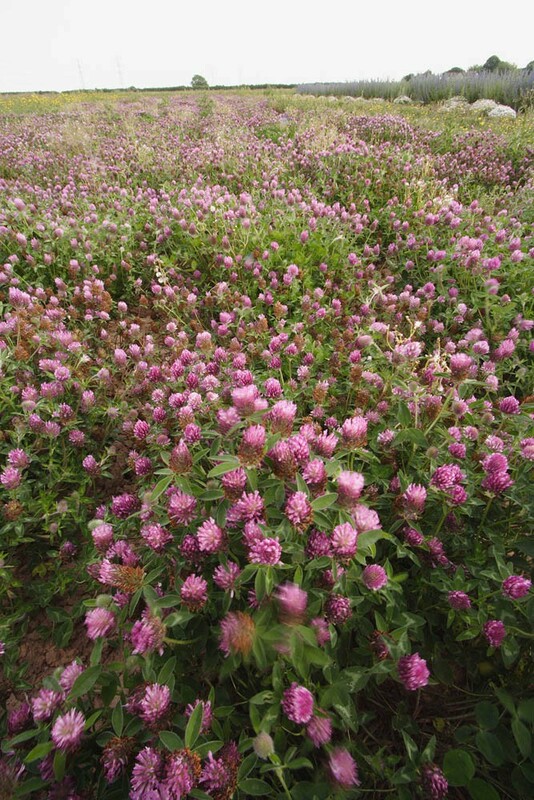 As a wild plant red clover is a long lived perennial of hay meadows and other semi-natural grasslands. It is common on all but the most acidic, waterlogged or infertile site but prefers well drained, damp and slightly acid soils. 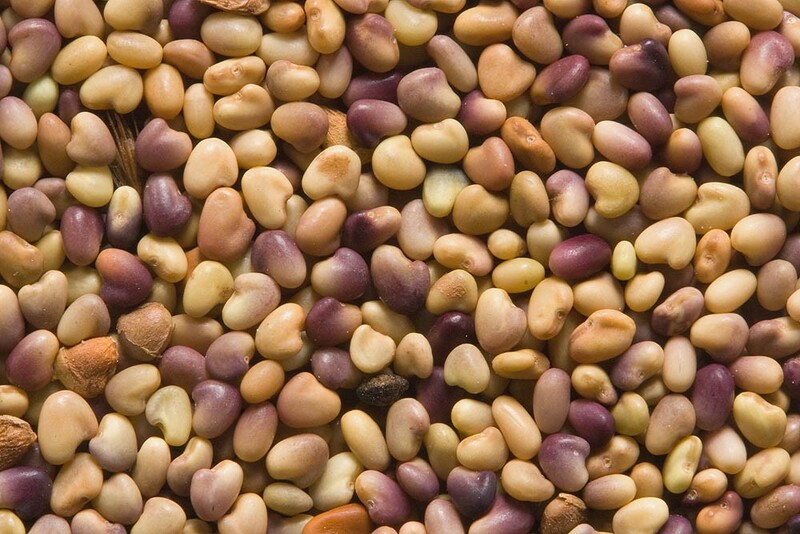 It cannot tolerate high inputs of nitrogen (either in the form of fertiliser or manure) and is sensitive to over grazing. Red clover is an important nectar and pollen source for a number of species of bumble bee. Red clover can be sown at any time of the year when soil and weather conditions are suitable. 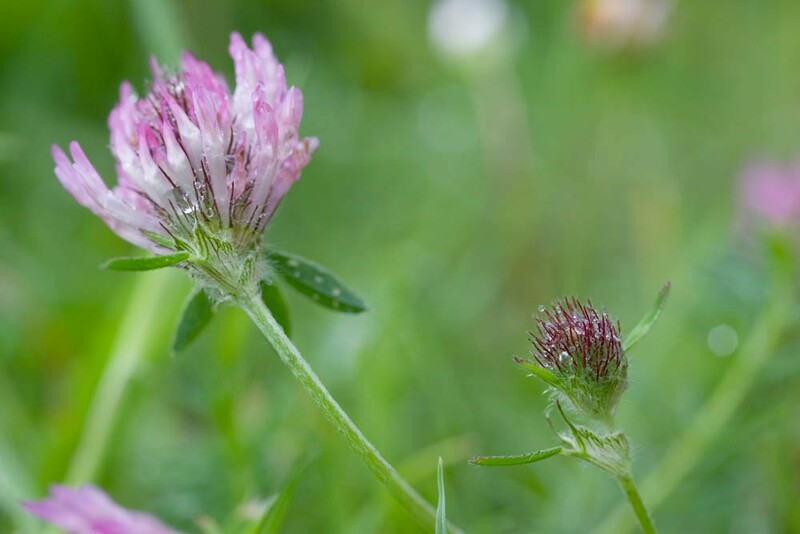 When sowing red clover as a component of a meadow mixture on to bare soil we recommend that it constitutes no more than 1% by weight of the total seed mix as red clover has the potential to rapidly colonise and cover open ground. This initial boom in its growth can be quite lush and dominant, particularly on soils that are low in nitrogen but have good available phosphate levels. This boom phase is usually transient: with good management (cutting and removing surplus growth), a better balance with other grasses and wild flowers can be restored over time. 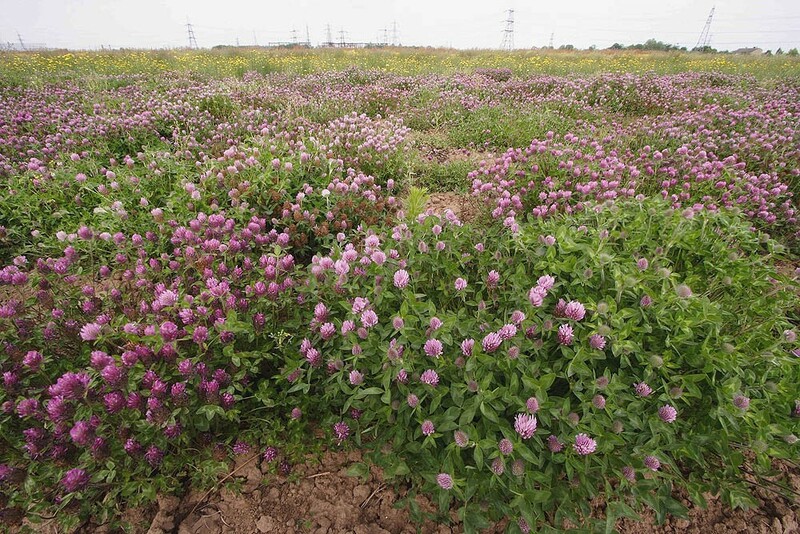 Wild red clover sown into gaps in existing vegetation or established sown meadows is much less likely to dominate as its competitive ability is moderated by already well established mature grass plants. PLEASE NOTE: Our current stock of wild red clover has been harvested from a mixed meadow community rather than a seed crop. Whilst it is 96% red clover it also contains a small % ribwort plantain and other meadow perennials.